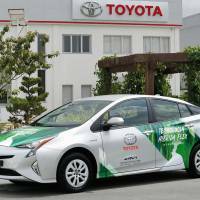 Toyota Motor Corp. said Tuesday it has unveiled in Brazil a prototype of the world’s first hybrid vehicle to run on ethanol, in the hope of further cutting carbon dioxide emissions, and aims to launch the model in the country in one to two years. The prototype combines the principles of flexible-fuel vehicles, powered by both gasoline and ethanol, with Toyota’s hybrid technology. If sugarcane-derived ethanol is used as the only fuel and the CO2 absorbed when the plants were growing is taken into account, the vehicle will be able to curb CO2 emissions even more than existing FFVs. FFVs make up some 90 percent of new car sales in Brazil, according to the Japanese carmaker. Toyota currently sells Corolla FFVs in the South American market. The prototype used the Prius electric-gasoline hybrid car as a base model, but the company did not say which model will be used when the ethanol hybrids are launched for sale. “The invention demonstrates our journey in providing a new mobility society,” he said in a statement released Monday. 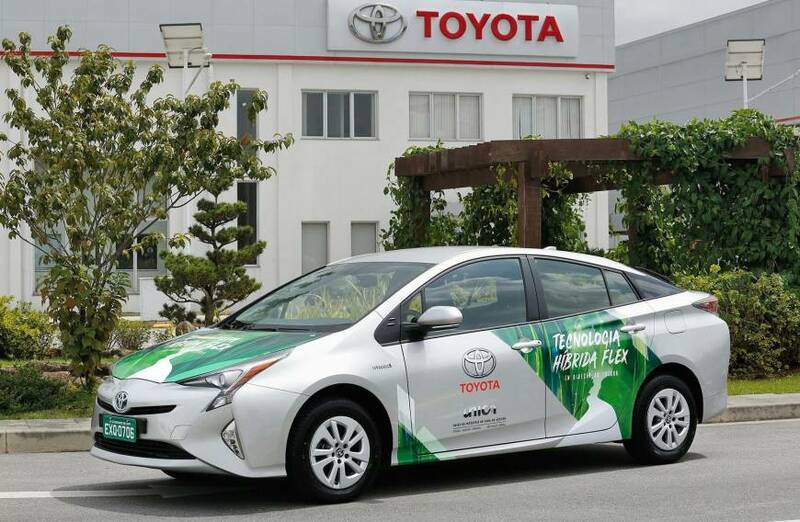 hybrid cars, hybrid vehicles, Toyota Motor Corp.